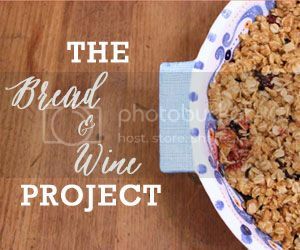 The Bread & Wine Project is a recipe link up with a purpose. It is a link up about much more than food. The hope is that through this linking up we will push each other to use our homes as mission centers. That we will begin to view our homes, and dinner tables as safe places to bring people in and love them like Jesus. Check out this video below to hear more about my heart behind launching this new link up! Bread & Wine from Rachel Cox on Vimeo.